Awesome A Class Diesel with loads of living and storage space. 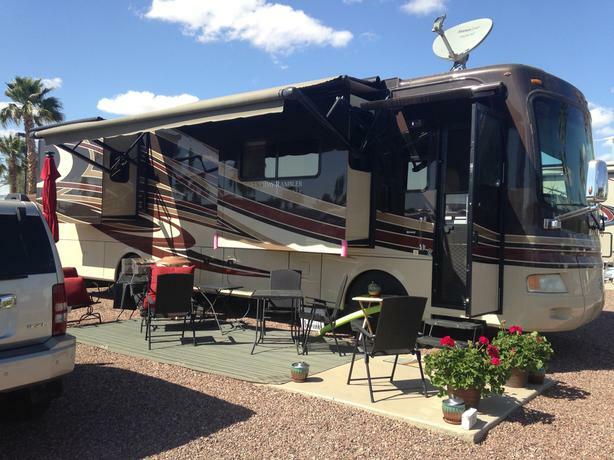 This motorhome has been lightly driven and primarily parked for long portions of the year in Western Canada and Arizona. It has a long list of extras - email for PDF package. Comes ready to hit the road this summer with a 2008 Jeep Liberty with 120,000 KM on it + towing assembly and brake system. Well maintained all around! Call for full details.